Jeff has over thirty years of industry related experience. For the past twenty years, he has served as the Technical Director for Chemtool where he was responsible for all of the technical activities for their lubricating grease business. Before joining Chemtool, he held similar roles at Citgo (formerly Cato Oil & Grease). It was during his tenure at Cato, that he first became acquainted with AXEL Christiernsson through his joint work on several projects with Graham Gow. In addition to his work experience, he has also served on the Board of Directors at NLGI and held all the executive positions including President. He has authored or coauthored several papers on lubricating greases and earned several awards. Jeff has been married to his wife Barbie for 34 years. Together they have three kids, Austin, Allison, and Dan, and one grandchild. When not at work, Jeff enjoys spending time with family, fishing, reading and volunteering for several organisations. Jeff and his wife reside in Tulsa Oklahoma. 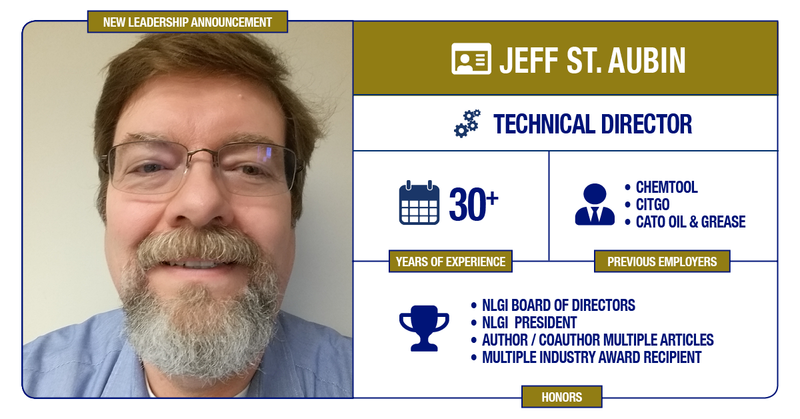 We welcome Jeff to the AXEL team, where together we will continue our tradition of developing world class grease technologies and products and delivering innovative grease services to the industry.